Retired detective Daniel Young denies that he ever attempted to entice Jerry Larrivee to say Anthony Sanborn admitted to killing Jessica Briggs in 1989. 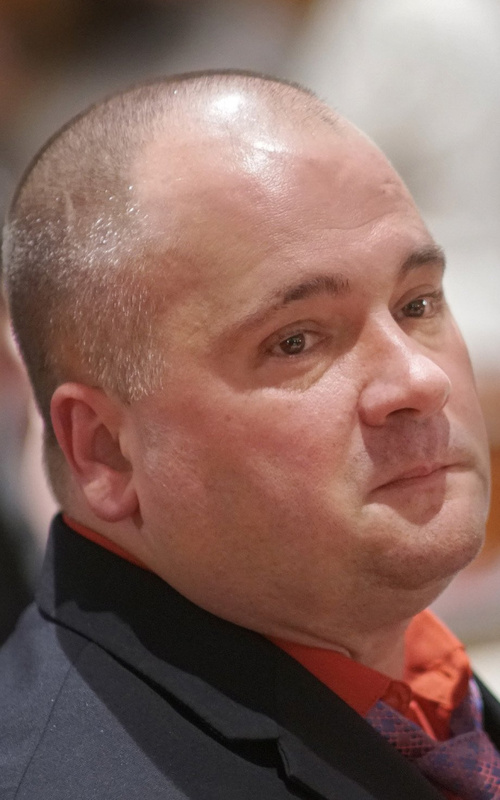 A state prosecutor on Friday sought to undermine testimony from an ex-convict who a day earlier said that police tried to entice him to lie and say Anthony H. Sanborn Jr. admitted to killing Jessica L. Briggs in May 1989. Assistant Attorney General Meg Elam cross-examined retired detective Daniel Young about Jerry Larrivee, who on Thursday testified that he met Sanborn at Cumberland County Jail, and that Young and detective James Daniels asked Larrivee to lie about Sanborn in exchange for the officers’ help with Larrivee’s criminal case. On Friday, Young denied ever making such an offer to Larrivee. Larrivee said he had lied for police twice before – once about an illegal auto parts operation, and again in a murder case – but said he rejected the officers’ overtures in the Sanborn case. Elam also questioned whether Larrivee was even housed at the jail simultaneously with Sanborn. She produced a copy of a docket record, which showed a conviction for Larrivee in March 1989, three months before Briggs was killed, and roughly a year before Sanborn was charged with the crime. Elam also said Young’s history with Larrivee could be a motive for him to come forward now. It was not immediately clear when Sanborn, who was in and out of trouble during that period, was incarcerated at Cumberland County Jail and for how long. The state’s cross examination of Young is expected to continue Monday, when the hearings that were expected to last 12 days will enter their fifth week. Justice Joyce Wheeler, who is overseeing the post-conviction review, seems to have grown weary with the length of the proceeding, which now includes hundreds of pages of documents admitted into evidence, along with hours upon hours of granular testimony. Sanborn was convicted in 1992 of stabbing Briggs to death at the end of the Maine State Pier and dumping her body into Portland Harbor. Both were 16 years old at the time of the killing, and dated briefly several weeks before Briggs’ body was found May 24, 1989. Sanborn’s attorneys have alleged that police zeroed in on Sanborn from the start, to the exclusion of alternative suspects. The state has argued that Sanborn’s claims for a review of his conviction should not even be considered by the judge because he did not file the claims in time, and that his conviction should be upheld. He was sentenced to 70 years in Maine State Prison, and served 27, before being freed on bail in April. Already in its 18th day, the hearings are exceptionally long. On Monday, one or both of Sanborn’s original defense counsel, Ned Chester and Neale Duffett, are expected to take the stand. The testimony and hearings could go until Nov. 17, when Wheeler leaves for a vacation.